The metabolic syndrome (MetS) may contribute to increased cardiovascular risk (CVD) in SLE. In these studies we aimed to examine the association of demographic factors, lupus phenotype and therapy exposure with the presence of MetS both at baseline and then over time with a particular focus on disease activity, disease phenotype and corticosteroid exposure over time. For these studies MetS was defined according to the 2009 Consensus Statement from the International Diabetes Federation. At the time of study we had 1686 patients in the cohort of whom 1150 (68.2%) had sufficient data to determine their MetS status. MetS was present in 38.2% at enrollment, 34.8% at year 1 and 35.4% at year 2. At the baseline visit, higher peak oral prednisolone dose (mg) (OR [95% CI] 1.02 [1.01, 1.03]), cumulative corticosteroid dose (g) (1.07 [1.01, 1.12]), older age (years) (1.05 [1.04, 1.07]), Korean (2.07 [1.31, 3.25]), Hispanic (1.79 [1.13, 2.87]) and African Ancestry (2.73 [1.46, 5.12]) race/ethnicity, and current renal disease (2.70 [1.83, 3.99]) were associated with MetS. Antimalarial use was associated with a reduced risk of MetS (0.53 [0.37, 0.75]). In a longitudinal analysis over the first 2 years of follow-up prior MetS status, baseline renal disease, SLICC Damage Index >1, higher disease activity, increasing age, Hispanic race/ethnicity or African ancestry were independently associated with MetS over time. MetS is a persistent phenotype in a significant proportion of SLE patients. Renal lupus, active inflammatory disease and damage are SLE-related factors that drive MetS development whilst antimalarials appear to be protective from early in the disease course. We also note that several race/ethnicity subsets are more prone to developing MetS. As MetS is a recognised risk factor for future CVD it serves to help us better understand the mechanisms of CVD risk in SLE. We also conclude that balancing disease control and minimizing corticosteroid exposure should therefore be at the forefront of personalised treatment decisions in SLE patients. 1.Parker B, Urowitz MB, Gladman DD, Lunt M, Bae SC, Sanchez-Guerrero J, Romero-Diaz J, Gordon C, Wallace DJ, Clarke AE, Bernatsky S, Ginzler EM, Isenberg DA, Rahman A, Merrill JT, Alarcón GS, Fessler BJ, Fortin PR, Hanly JG, Petri M, Steinsson K, Dooley MA, Manzi S, Khamashta MA, Ramsey-Goldman R, Zoma AA, Sturfelt GK, Nived O, Aranow C, Mackay M, Ramos-Casals M, van Vollenhoven RF, Kalunian KC, Ruiz-Irastorza G, Lim S, Kamen DL, Peschken CA, Inanc M, Bruce IN. Clinical associations of the metabolic syndrome in systemic lupus erythematosus: data from an international inception cohort. Ann Rheum Dis. 2013; 72:1308-14. 2.Parker B, Bruce I. SLE and metabolic syndrome. Lupus. 2013; 22:1259-66. 3.Parker B, Urowitz MB, Gladman DD, Lunt M, Donn R, Bae SC, Sanchez-Guerrero J, Romero-Diaz J, Gordon C, Wallace DJ, Clarke AE, Bernatsky S, Ginzler EM, Isenberg DA, Rahman A, Merrill JT, Alarcón GS, Fessler BJ, Fortin PR, Hanly JG, Petri M, Steinsson K, Dooley MA, Manzi S, Khamashta MA, Ramsey-Goldman R, Zoma AA, Sturfelt GK, Nived O, Aranow C, Mackay M, Ramos-Casals M, van Vollenhoven RF, Kalunian KC, Ruiz-Irastorza G, Lim SS, Kamen DL, Peschken CA, Inanc M, Bruce IN. Impact of early disease factors on metabolic syndrome in systemic lupus erythematosus: data from an international inception cohort. Ann Rheum Dis. 2015; 74: 1530-6. Professor Ian Bruce is a National Institute of Health Research (NIHR) Senior Investigator and Professor of Rheumatology at the Arthritis Research UK Centre for Epidemiology, Centre for Musculoskeletal Research, University of Manchester. He is Director of The NIHR Manchester Biomedical Research Centre. 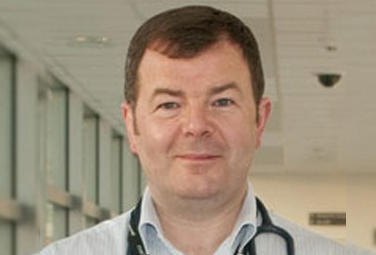 Professor Bruce qualified in medicine from Queen’s University Belfast in 1988 and gained membership on the Royal College of Physicians in 1991. He trained in medicine and rheumatology in Northern Ireland and completed his MD thesis on the pathogenesis of systemic vasculitis in 1995. He was the Geoff Carr Lupus Fellow at the University of Toronto, before moving to Manchester in 1998. Ian is immediate past Chair of the Systemic Lupus International Collaborating Clinics (SLICC), a member of the British Isles Lupus Assessment Group (BILAG) and leads the BILAG Biologics Register. He is also Chief Investigator in the MASTERPLANS Consortium, an MRC-funded SLE Stratified Medicine Consortium. He participates in a number of national and international multicentre studies that are seeking to refine our understanding of SLE and serves on Data Safety Steering Committees in several commercial and academic clinical trials. 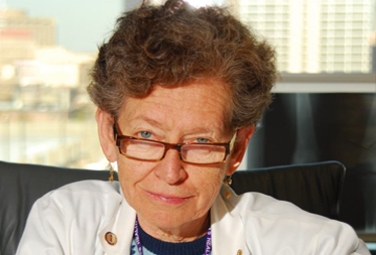 Professor Bruce’s research is focused on the association between inflammatory rheumatic diseases and premature atherosclerosis/coronary heart disease as well as stratified medicine in SLE and has published over 200 peer-reviewed articles on these and related areas.